The moving phantom of the sash can appear as double line when the update behavior is switched to „Standard“. When the mouse pointer is above a node, the auxiliary lines are being shown upon pressing the left mouse button and vanish again when the button is released. While a node is being modified, the auxiliary lines will be constantly updated, of course. 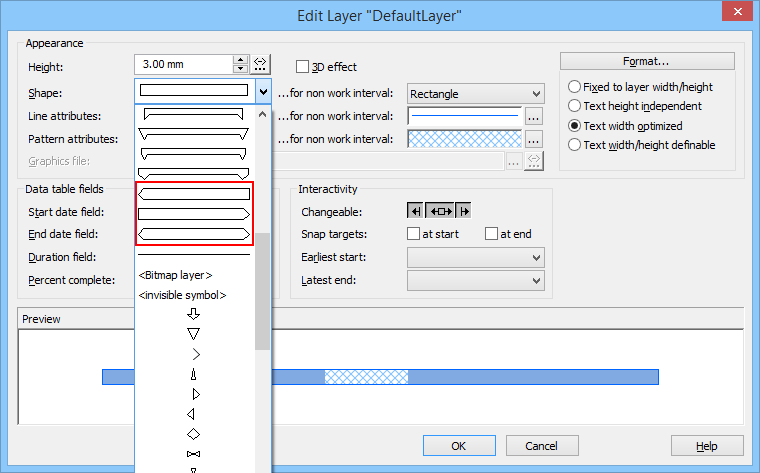 We have re-designed the Edit Layer dialog and have added layout options for layers in work free intervals. Rectangle: Select a pattern for the work free interval. 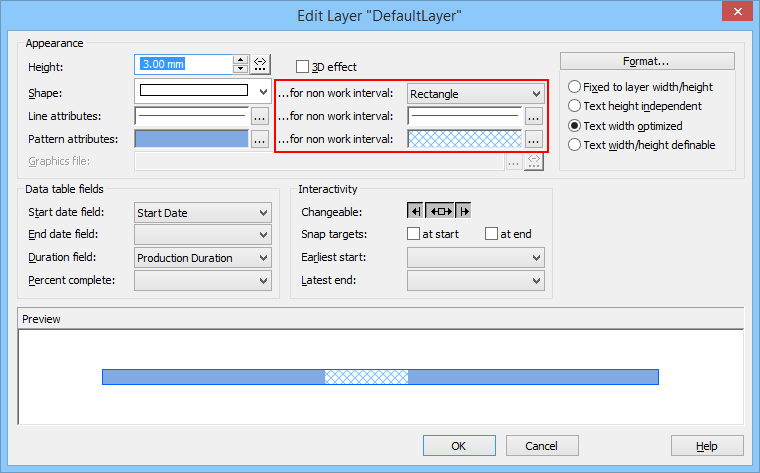 None: Use this option if only the work free intervals of one particular layer are to be hidden, although on the Nodes property page the „Show work free periods of nodes“ option has been ticked.